An arrival that has been anticipated for far too long is soon to be a new addition to the Xbox 360, Playstation 3, and PC game library. Bethesda, the studio behind the remastering and repackaging of the previous DOOM installments, is slating a Fall release for a DOOM 3 bundle which will include the "Resurrection of Evil," and "The Lost Mission" add on for DOOM 3 alongside the classic DOOM 1 and 2 duo. As with the previous remastered incarnations of the console versions of DOOM, Bethesda has meticulously transferred all lovable and addictive elements of DOOM 3 and renovated only the graphical aspects of the game. Whilst cauterizing the demons from Hell with flaming hot lead from your trusty shotgun, players will be introduced to a much darker yet visually vibrant arena. 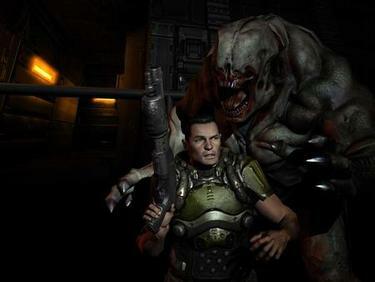 Lighting has been revamped and tweaked to give DOOM 3 a more survival horror essence. The repackaged DOOM 3 will also sport modern age sound accommodations for those who would prefer to trek across Hell with their Turtlebeaches and 3-D monitors, for 5.1 surround sound and 3-D TV support will be included with every DOOM 3 purchase. Bethesda has brought forth several beneficial gameplay changes to DOOM 3 for those new to the franchise. Nearly an essential for those green to DOOM, armor lighting is a unseen provision when compared to the original DOOM 3. Similar to armor lighting in Halo 3, players will be able to tactically illuminate their immediate surroundings to spy a demon or two lurking in the shadows. Checkpoint saves will also debut in DOOM 3 allowing for progression to flow smoothly. However, as stellar as the above listings may sound, Bethesda teases DOOM fans by the inclusion of "The Lost Mission," pack which will inject DOOM 3 with seven new 'never before seen' missions which will certainly be enthusiastically embraced by any First Person Shooter gamer. To those who haven't experienced the FPS quintessential franchise that practically popularized the FPS genre in its infancy, take a gander at DOOM 3 BFG. There is still a magnificent opportunity to trial run the early DOOM and DOOM 2 on the XBL marketplace before you enjoy a sequel to both that was met with much appraise throughout the world on its release. As of now there is no news pertaining to the PC version of the re-release, and also no news as to how DOOM 3 will be distributed on the Xbox 360 and Playstation 3. Chances are that DOOM 3 will likely be released through digital means, so to those that prefer a quick download rather than a trip to your local game distributor, don't fret. Prepare your BFG, the Gates of Hell will open once more in Fall 2012.